Given how far away we still are from personal spacecraft, perhaps it’s not surprising that most design concepts for extra-terrestrial ships haven’t evolved much in the last couple decades. 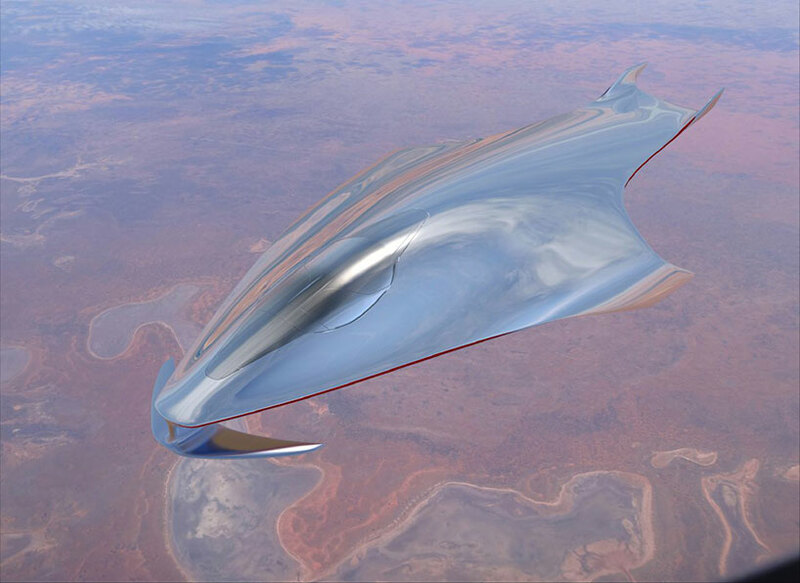 Concerned more with practicalities (and budget constraints) than aesthetics, even NASA has stuck to the same-old same-old when it comes to spacecraft design, but a fun vision of the future from Ferrari’s design director gives us some hope. Known for incorporating Ferrari design sensibilities into all sorts of sketches, Flavio Manzoni doesn’t disappoint with his spaceship concept. Fluid and reflective, the ship is just as sleek as any of the real-life luxury cars that Manzoni has designed, including the LaFerrari supercar. The ship is divided into two shells by a signature red line, and two wings wrap around the lower section of the body. Unveiling the sketches and renderings at Form Trends, Manzoni says it started as just a bit of fun, inspired by his childhood living at the top of a six-story building and imagining a UFO landing on the rooftop terrace.